We All Live on an Island – Part I | Broadview Collaborative, Inc.
My husband and I just had the extremely good fortune to have spent a week on St. John, US Virgin Islands. If you’ve been there you know what a treasure it is. With no airport, it’s a bit off the beaten path. 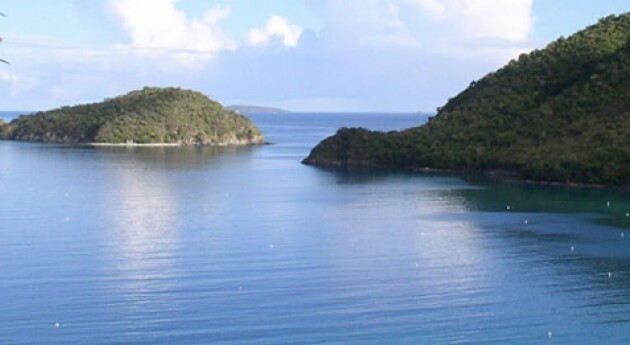 The US Virgin Islands National Park, with its campgrounds, snorkeling trails, hiking trails, and historic sugar mill ruins, makes up about 60% of the island and drives the local economy. It also lends to a mindset that tips toward sustainability and protection of local resources, though simple measures like recycling and renewable energy still lag behind what they could and should be. A new booklet, however, is helping the island down the sustainability path. “Smart Guide to Island Housekeeping”, published by volunteers at the Unitarian Universalist Fellowship of St. John, has intelligent guidance for all audiences be they year-round residents, visitors like us, or businesses. The book, which we found among the local guidebooks in the home where we stayed, goes well beyond the pat guidance I’ve come to expect in green guides (“turn off the water while brushing your teeth”, and such) to intelligent explanations of what happens to island trash, how to apply for green energy rebates, where to recycle, and how to make closthes last longer in the tropical heat and humidity. Virtually all resources – food, fuel, consumer goods, etc. – have to be shipped to the island at great expense, burning energy along the way. Anything that isn’t recycled, reused, or composted (which most things aren’t) has to be landfilled or shipped back off the island, both of which have environmental impact. But what does the booklet say about water? Water, after all, is much of what makes the island the paradise that it is. The pristine Caribbean beaches and coral reefs, lush vegetation, and evening outdoor showers are all part of what lure me back time after time. In fact, four of the “Ten Most Important Issues” from the Green Island Building Association’s list shared in the book, are about erosion control for new construction. The booklet, however, didn’t say much about fixing existing stormwater problems.